After landing in Lucknow yesterday, Ekta Kapoor & Tanuj Garg, CEO, Balaji Motion Pictures, accompanied by the cast of the forthcoming keenly anticipated supernatural thriller Ek Thi Daayan, Emraan Hashmi, Huma Qureshi, were greeted by a manic crowd at the airport almost resulting in a stampede. They visited the School of Management Sciences in Lucknow for a controversial debate on the existence of ‘daayans’ in modern India. This was followed by a 5-hour long drive to Allahabad, the venue for the Mahakumbh, the world’s largest and most discussed spiritual event. 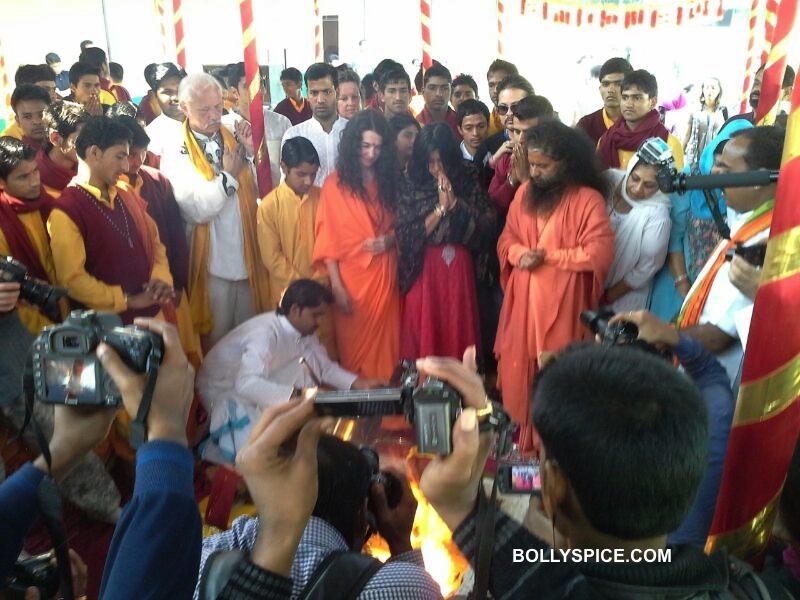 In bitter cold and maddening crowd, the team stayed in the wilderness; in tents at the beautiful Parmarth Ashram situated on the banks of the Ganga. 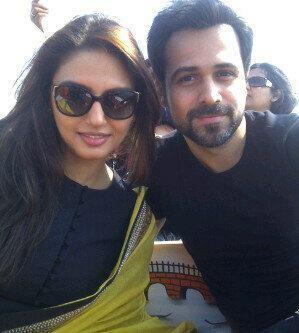 On Saturday morning, Ekta and Huma took part in a mahayagya for ‘daayan mukti’ in line with the film’s theme, and were later joined by Emraan Hashmi to address the media on the ongoing controversy about the team’s visit to Allahabad. After taking blessings for their forthcoming film, the film’s cast and Balaji team got into a traditional boat to sail to the ‘sangam’ for taking the Holy Dip. Balaji creates history by making Ek Thi Daayan the first film to be officially promoted at the Mahakumbh in such an innovative and path-breaking manner.